Growing up, Denise Battles ’85 relished collecting rock samples from the shoreline of Lake Ontario. 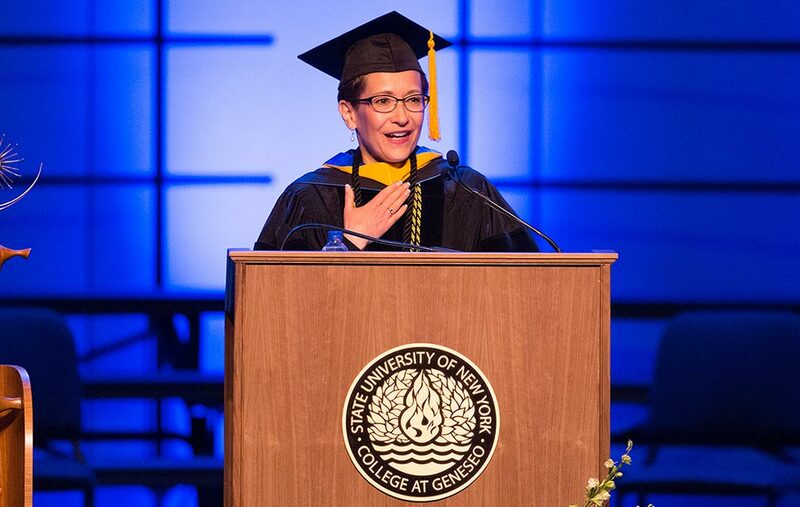 That pastime laid the foundation for her academic journey, which has recently returned her to the Great Lakes region as SUNY Geneseo’s new president. 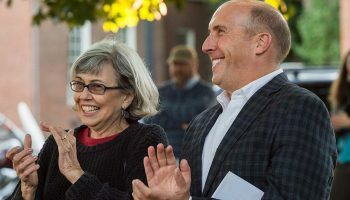 “Those rocks, far traveled and exotic, transported by massive and long-since-gone glaciers, spurred my imagination and shaped my decision to become an earth scientist,” Battles reminisced during her inauguration speech on October 22. She continued to emphasize the importance of “place” — a natural theme for a geologist. Shortly after her installation, Battles invited me into her office overlooking the valley where Geneseo is nestled and reflected on how her past has prepared her to lead that college’s future. Battles was raised in Central Square, N.Y., less than two hours northeast of Geneseo. Her mother, a library assistant, encouraged her scholarly side; Battles’s father, a graphic artist, nurtured her creativity. So when she arrived at Colgate, she wasn’t sure whether she’d major in science or art. A “Jan plan” course on hot-blooded dinosaurs and an extended study trip to Hawaii to study volcanism set her interest in geology afire. 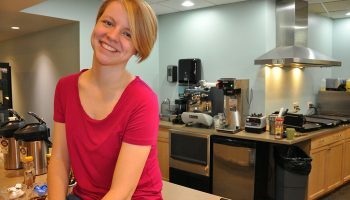 Proud of attending Colgate on scholarship, Battles recalls working several jobs, three of which provided a glimpse into her future career: geology tutor, undergraduate research assistant, and an assistant in the dean’s office. “A lot of seeds were planted at Colgate that germinated many years later,” she said. She graduated in three years, having earned college credit as a high school senior and taken courses at SUNY Oswego during her summers away from Colgate. “I was the eldest of four and I wanted to do whatever I could to diminish the [financial] burden on my family and myself,” she said. Immediately following graduation, she began working toward her doctorate at University of California–Los Angeles. 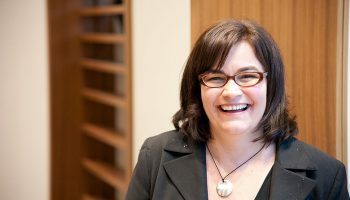 After UCLA, she began a 15-year career at Georgia Southern University, where she started as a geology faculty member and later also served as an associate dean. Then, through a one-year American Council on Education fellowship, Battles worked in the president’s office at Auburn University. In 2005, the University of Northern Colorado recruited her to become the founding dean of the College of Natural and Health Sciences. After seven years, she headed to University of North Carolina–Wilmington to serve as provost and vice chancellor for academic affairs for three years. During most of her years as an administrator, Battles concurrently was a professor. Although “having a foot in both sides” became increasingly difficult, Battles said, she has always been driven by her inner scholar. “The fact that I spent so much time researching my inaugural address satisfies some deep need of being current in the discipline, reading the research, and using it to form an argument,” she acknowledged. Now Battles is moving full-steam ahead on her vision to make Geneseo “an exemplar of a public liberal arts college for the twenty-first century.” Her personal experiences undoubtedly influenced Battles’s envisioned strategic plan, addressing access, affordability, educational excellence, innovation, and inclusion. Beyond Geneseo, Battles is a member of the editorial board for the Journal of Diversity in Higher Education. 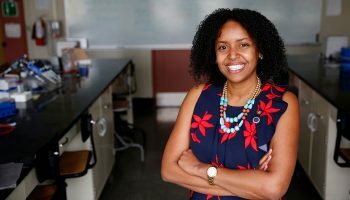 “I’ve been very committed to supporting a pipeline for people who have traditionally been underrepresented in STEM disciplines, but also higher education more broadly,” she said. Always considering the big picture — looking at the horizon from the shoreline — Battles has taken the knowledge she’s collected over time and used it to help make the future a more solid place.